Other aircraft already seen in first part of the Cannes Exhibit, the all-metal CE-43 Guépard, produced by Wassmer in conjunction with SIREN its parent-company mainly involved with manufacture of Wassmer all-plastic gliders and other elements of all-plastic aircraft. 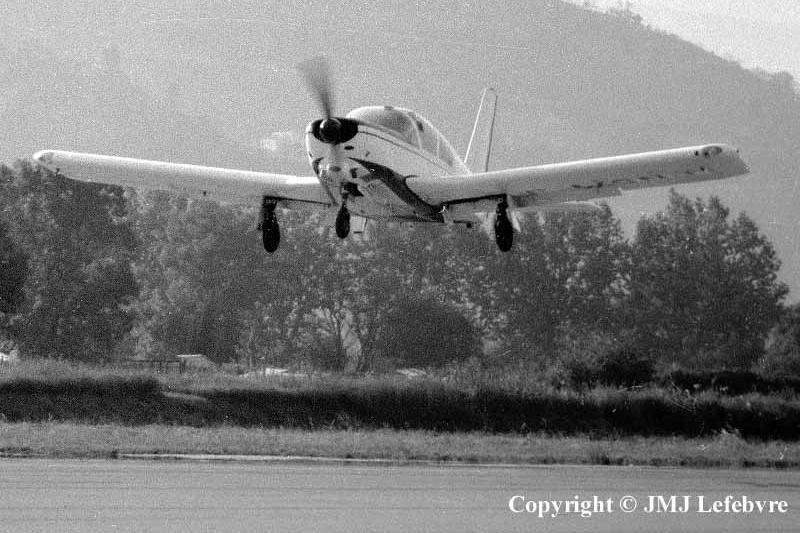 Here, first prototype F-WSNJ which led French official services to buy the type for their Flight Test Centers and Aeronautical Formation Centers. Today, except for FTCs, all the state-owned remaining machines have been sold to private owners or airclubs.